I love making Totoro food!! It makes me squee every time! 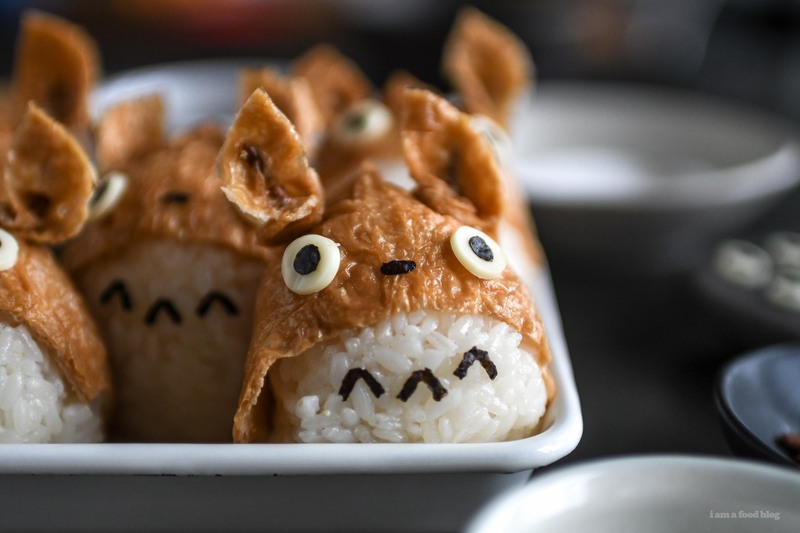 Here are my top 10 totoro creations that I wish I could eat every day. I love Totoro! If you have never seen the film, My Neighbor Totoro, I hope you have a chance to soon. It’s about two little girls who move to the country with their dad so they can be closer to their mom who is recovering at a nearby hospital. They discover magical creatures in their backyard forest and go on several adventures. It’s fluffy and fun, perfect if you’re feeling nostalgic about childhood. 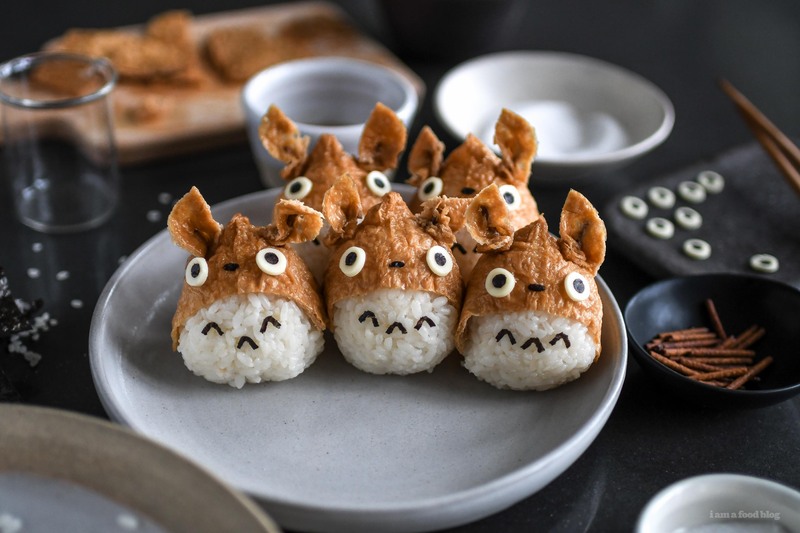 Every October I do an informal Totoro Week where I dress up food as Totoro because in another life I would totally be a kyaraben maker. I love kawaii things and Totoro is one of the most kawaii of all. Plus, he is awesome to make into food. Here’s a little roundup of all the Totoro food I’ve made the past 5 years. I’ve got a couple of things up my sleeve for this year, so keep your eyes peeled! 1. 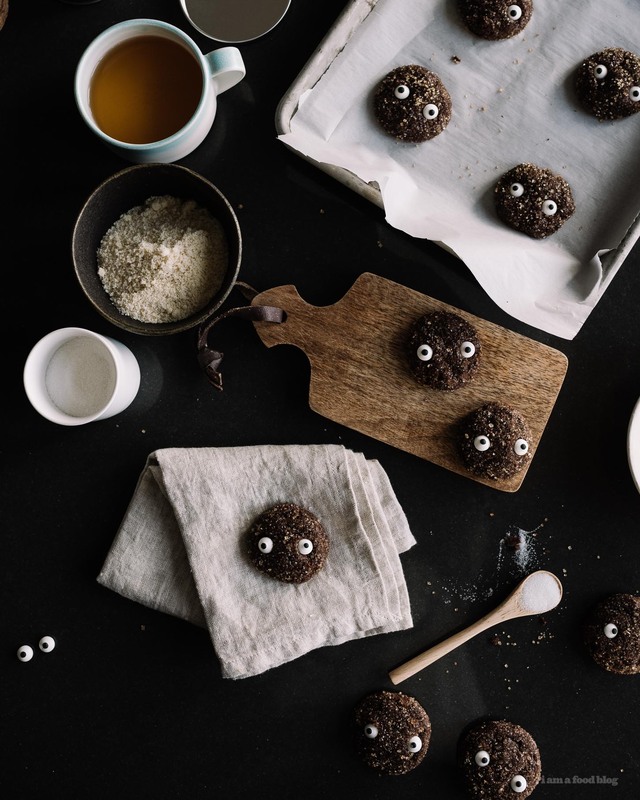 Chocolate Sparkle Soot Sprite Cookies: Chocolate-y and crisp yet chewy gluten free cookies made with almond flour and decorated with eyes for the cutest soot sprites. 2. 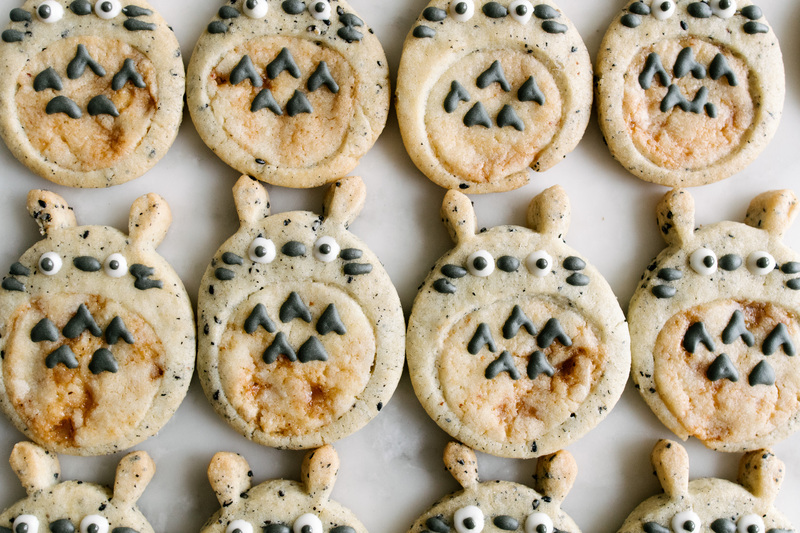 Black Sesame Sugar and Snickerdoodle Totoro Cookies: The ultimate two-in-one cookie! Black sesame sugar cookies with little toffee snickerdoodle bellies. 3. 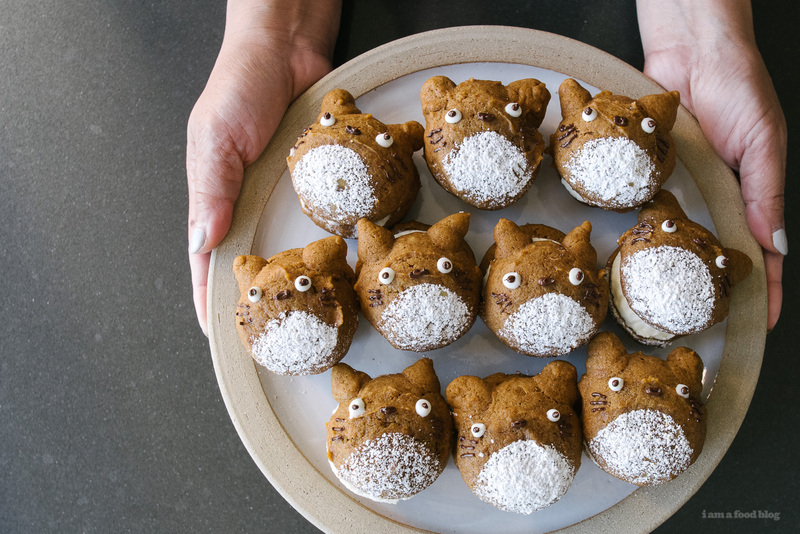 Pumpkin Totoro Whoopie Pies: Fluffy Totoro pumpkin cookie cakes sandwiching a sweet mascarpone filling. 5. 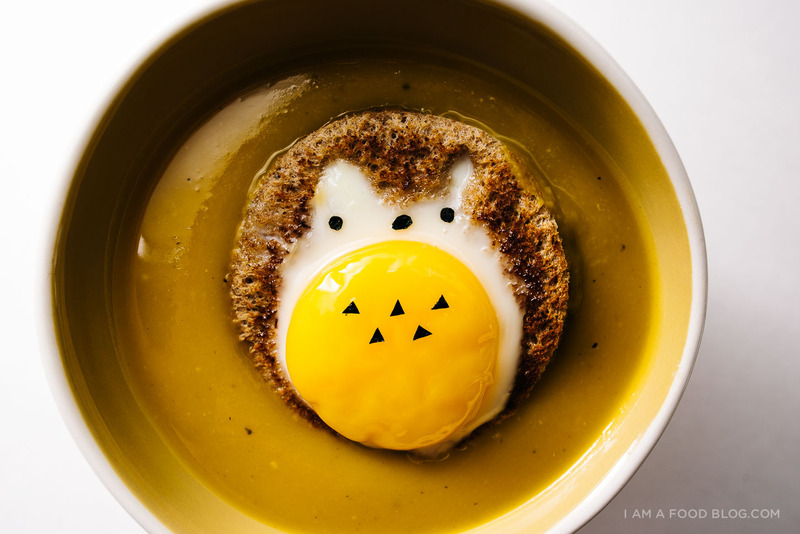 Kabocha Soup with a Totoro Egg-in-a-Hole: Fall vibes and the cutest egg ever. 6. 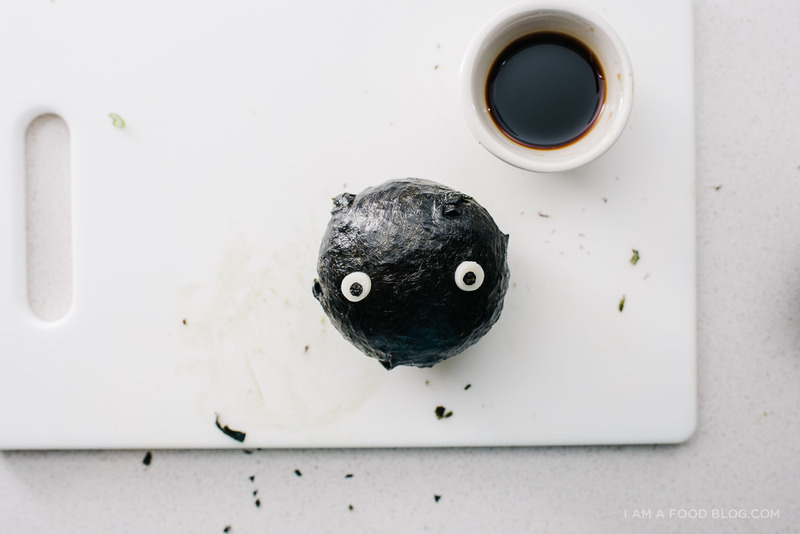 Soot Sprite Sushi with Avocado: Super easy and tasty sushi balls with a hidden avocado filling. 7. 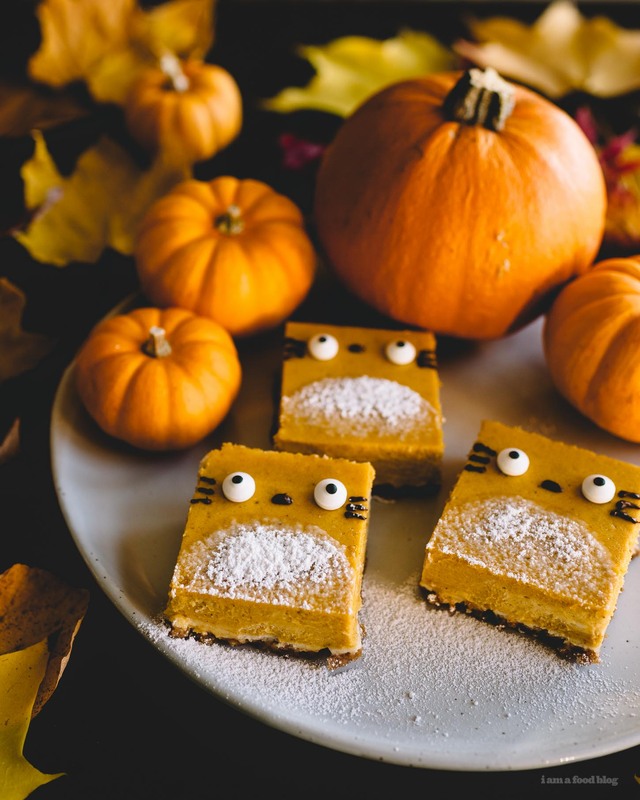 Totoro Pumpkin Cheesecake Bars: Bake and slice creamy and dense pumpkin cheese made even better with Totoro faces. 8. 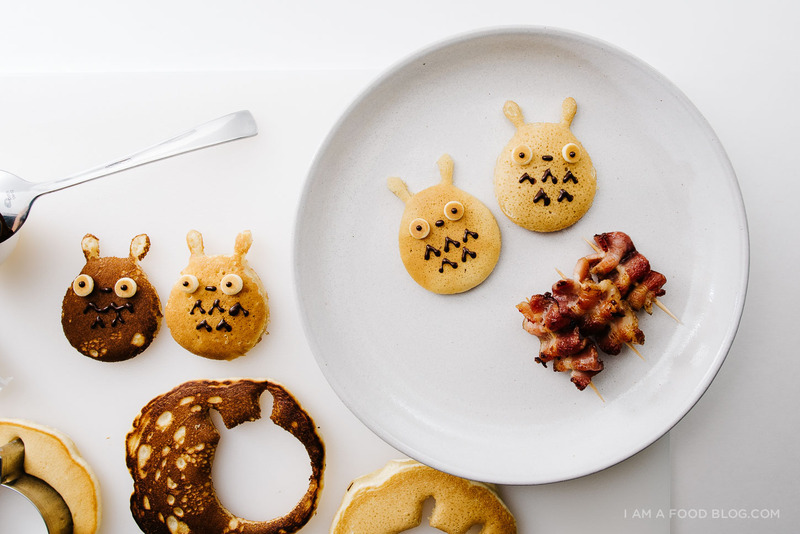 Totoro Buttermilk Pancakes: Taking a little extra time to make your breakfast Totoro-y could be the best thing you do all day! 9. 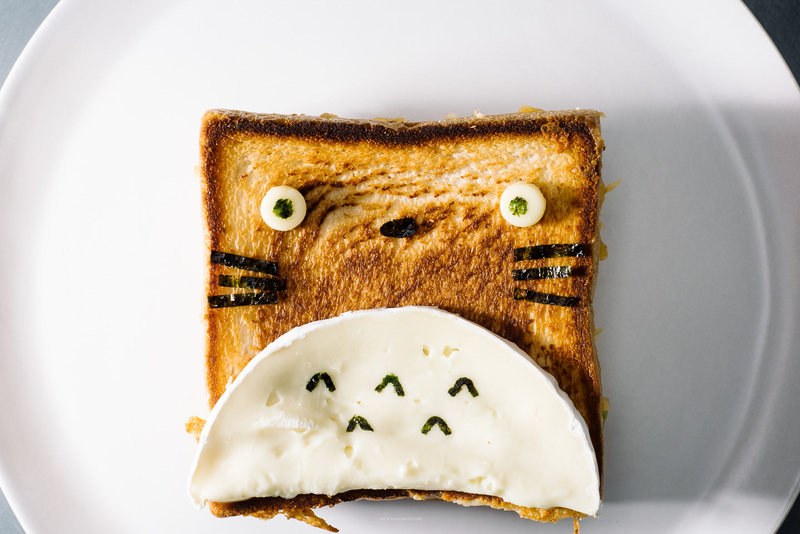 Totoro Jalapeno and Brie Grilled Cheese: who could resist that brie belly? 10. 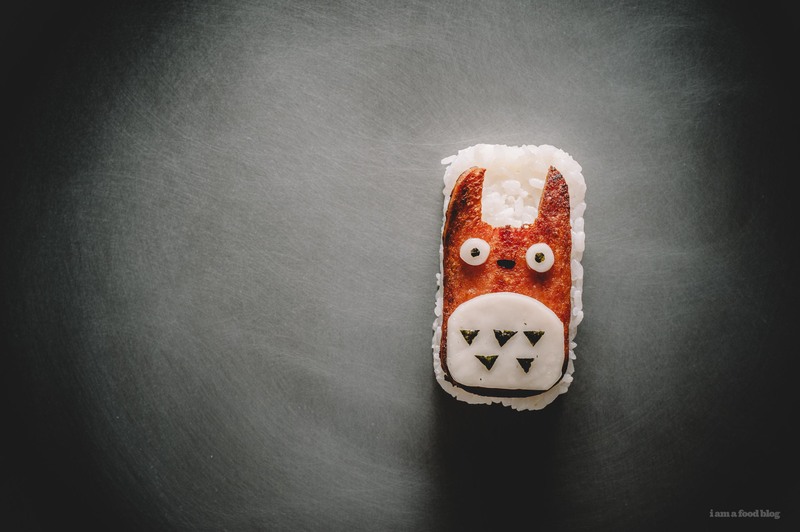 Totoro Spam Musubi: The OG Totoro that started it all, spam musubi with a Totoro twist. Oh my gosh I LOVE Totoro!! I feel I need to make all of these instantly!! I’ve made the pumpkin cheesecake totoros two years in a row now – they are so awesome! Thank you for coming up with Totoro-month! Fall is my favorite season, and you managed to make it even better for everyone. You’re the best. Totoro week is my favourite! Can’t wait to see what you make this year. I’m so happy to find your blog! I love, love, love Totoro; and where I’m currently living, few people have ever heard of him/her (?). 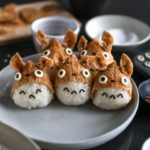 Totoro as food? Well, does it get much better! Thanks. I’ll be following. yay!! so happy you found us and totoro lovers unite!